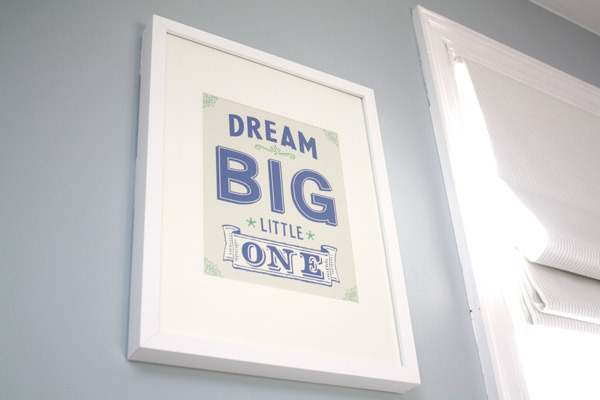 My sister fell in love with the sentiment and wanted me to incorporate those words into my niece's room. I've been rather cryptic with my plans but keep telling her "don't you worry, I have plans for it!" Well, Dear Sister, guess what's soon going up on your wall? 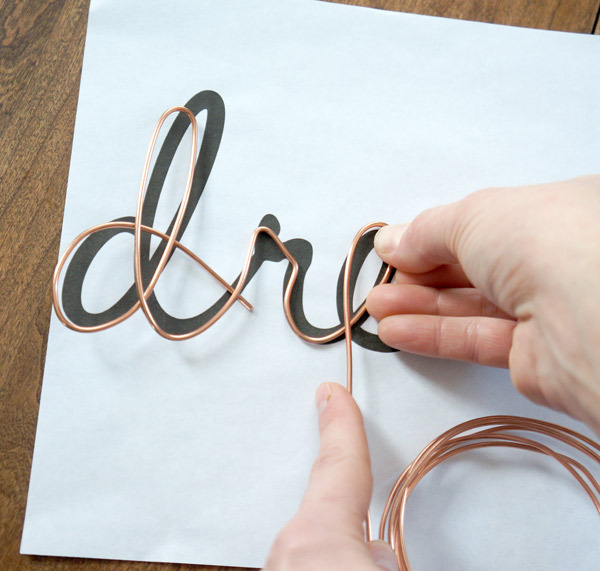 Cursive DIY wire word art. I'm calling this a 'teaser' post, since I have yet to install this beaut. I've wanted to include this in Lyla's room since I knew my sister was expecting again. 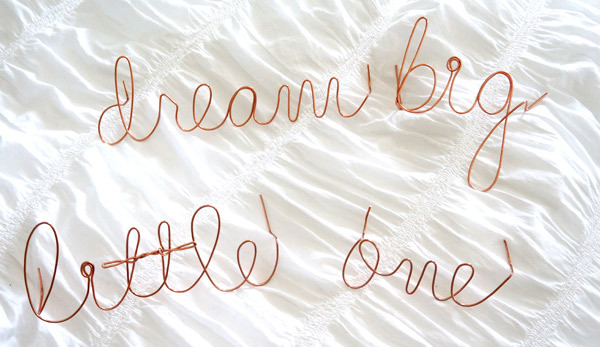 The wire words just ad such a whimsy without being cutesy or kitschy- both of which we wanted to avoid in her house. Once I sat down to try my hand at these words, I was pleasantly surprised how easy it ended up. This is surprisingly easy to do once you have a template. 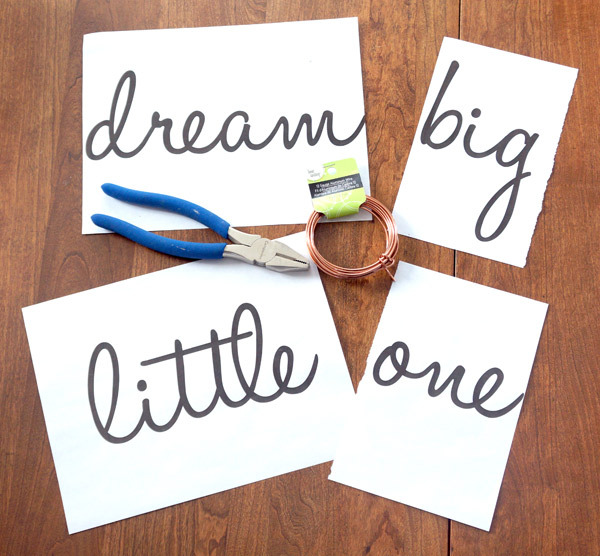 Starting your first letter, leave a tail of a few inches. This will allow for mounting later. 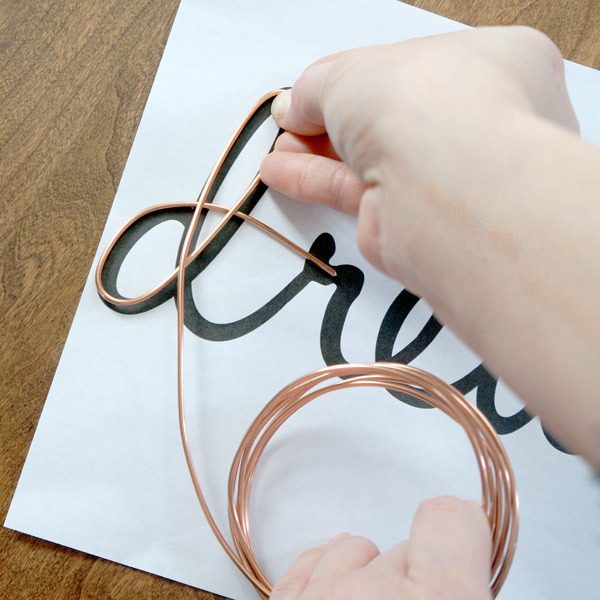 The wire is so pliable that all you need to do is gently hold it in place where you want to bend and slowly bend it following your template. Perfectionism is actually a detriment to this project. Once you make a bend, only minor tweaking or smoothing can be done. 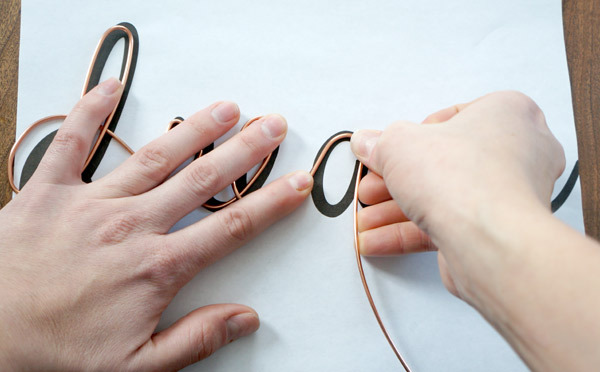 If you man-handle the wire too much, you'll lose the smooth look and it'll start getting kinks. 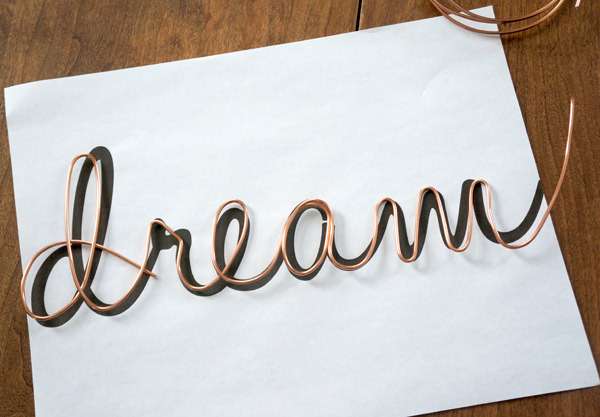 If you're doing a longer word like "dream" here, for the second half takes a little bit more coordination to align it with your template. That's why an imperfect cursive font is ideal- if you letter is a bit off of the template, once complete, no one will be any the wiser. 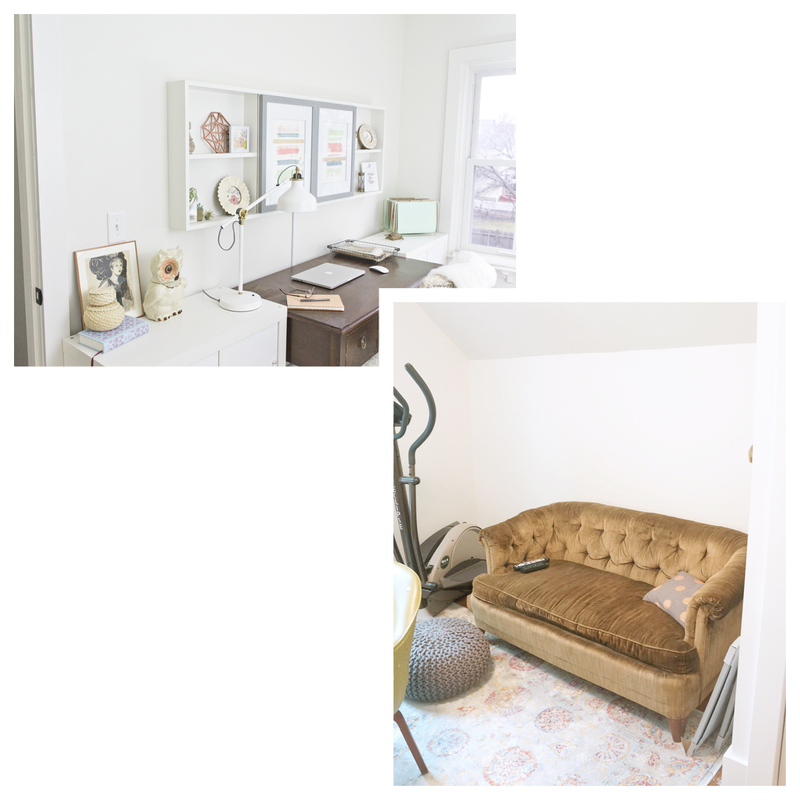 Once complete, you have wonderfully economical statement art. Now you just have to decide what you want to do with your words or phrase. If you plan to lean them on a shelf, you can simply trim off the tails at the beginning and end and style them on your shelves. Since I plan to hang this on a wall slightly offset, I bent my tails backwards. I'll go over what worked and didn't work for wall-mounting once I get them up in my niece's room. I'm loving this project so much, I'm debating making them to sell in my etsy shop. Any buyers? 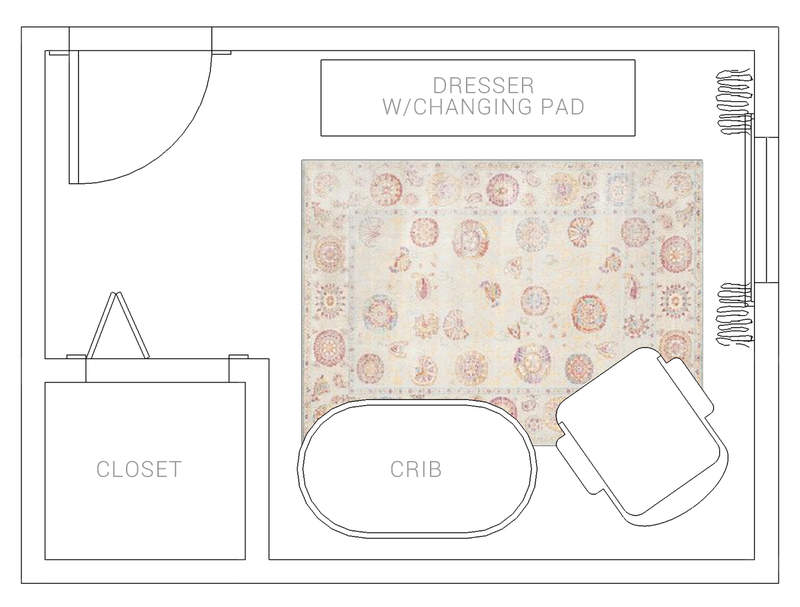 It's been a very long while since I mentioned anything about my soon-to-be niece's nursery. For reasons beyond my control, it looks like she'll get here before her nursery is completed, but we had a chat and she told me she doesn't mind as long as I knock the room out of the park. You got it, little lady. This is definitely one of those spaces that will evolve once we get the staple pieces into it. Even in putting this board together, it doesn't look like it's fully jiving just yet, but have faith! I know the accessories and little touches here will pull it all together. 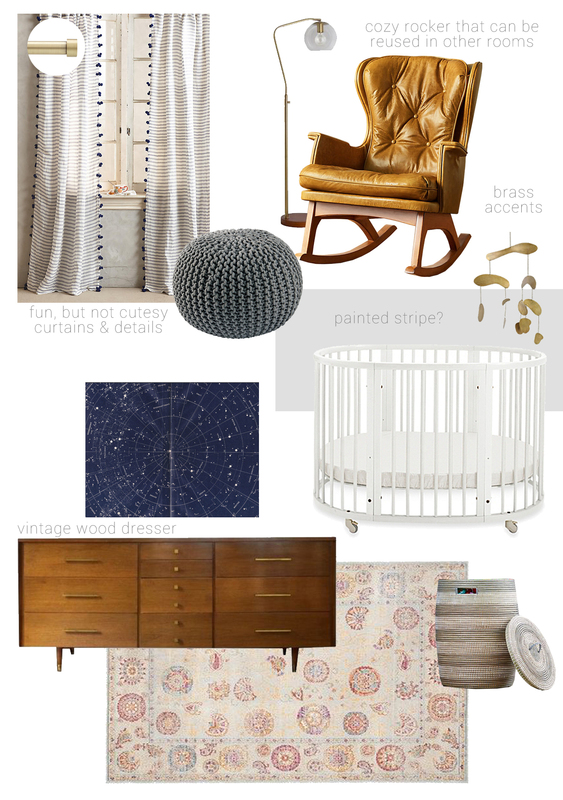 My vision for this little girl is an eclectic but classic space with a very slight vintage twist. The craigslisted dresser (that I finally decided on) is mid-make-over in Millie's garage and is coming out better than I hoped for. I can't wait to show it off! 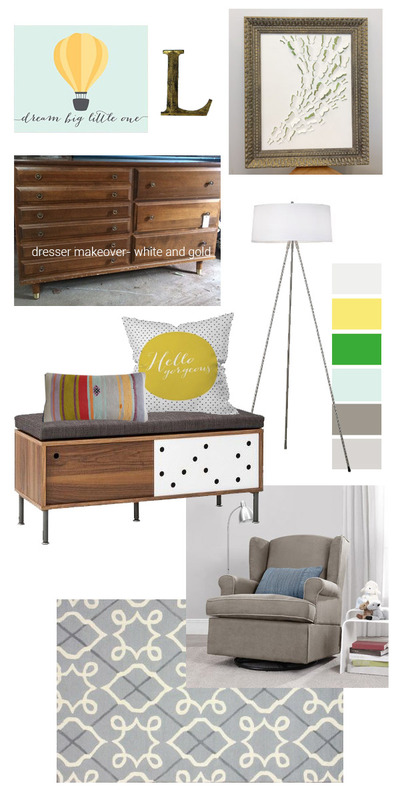 Why yes, I do plan to put a vintage Kilim striped pillow in a nursery as long as my sister lets me (pretty please, Sis? It'll be amazing, I promise!!). The room will be getting a fresh coat of yellow paint this weekend and then the pieces will start to fall into place! I'll provide sources with the room reveal when the time comes, but feel free to ask if you just HAVE to know now! I'd love to hear what you think! Is my vision making sense yet, or are you waiting to see how I tie it all together?